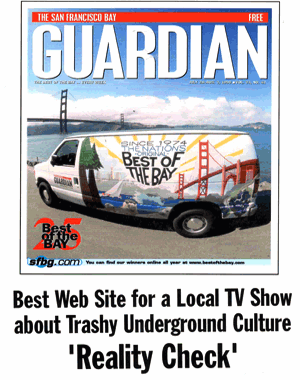 "Reality Check TV has provided the community with a much needed outlet. 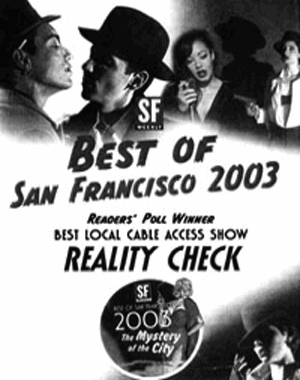 Before there was Youtube, the crew of Reality Check TV was documenting the avant guarde culture that makes San Francisco the vibrant community that it is. 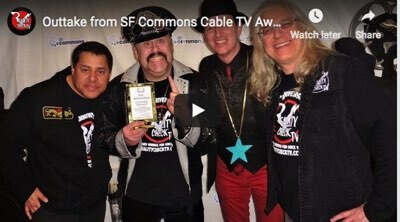 From it's humble beginnings on Cable Access all the way to it's current status as a world wide, multi million viewer web phenomenon Reality Check TV continunes to champion underground culture." 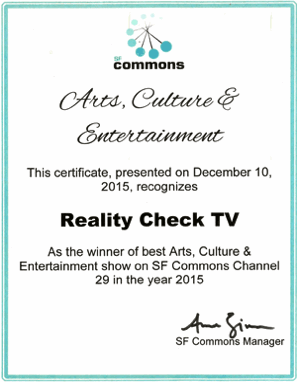 Reality Check TV is Award Winning and proud of it! 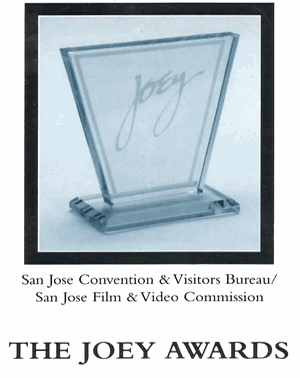 The show is well known for it's pioneering work in digital video, content, online video and live streaming. 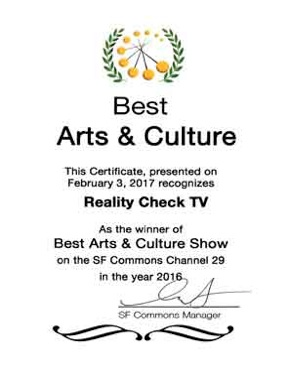 Recognized in the television and music industry, known for our charity work and loved by fans worldwide, Reality Check TV shares it's success with you, the video viewer and all the RCTV fans and guest stars. 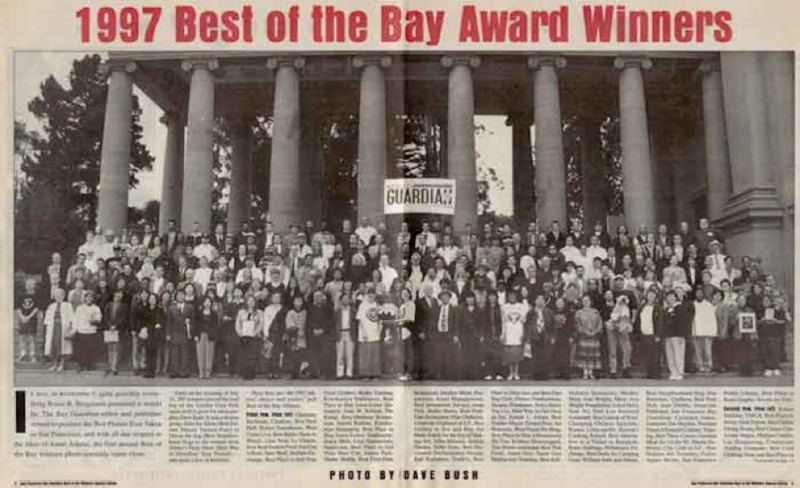 In the words of Stan Lee himself, "Excelsior!" 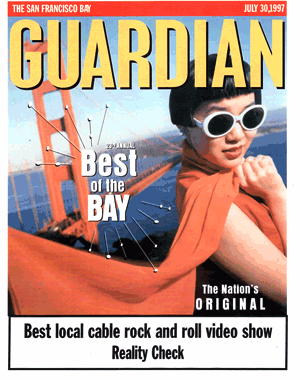 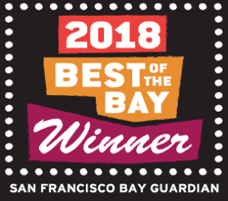 RCTV’s innovative work with digital video won many Cable Access awards , the San Francisco Bay Guardian Newspaper's Best of the Bay award for Best Rock and Roll Video Show, Best Website, Best Local Television Show, San Francisco Weekly Reader’s Poll Award Winner, a Telly Award for video editing, and New York Film Award. 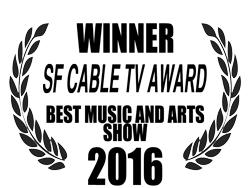 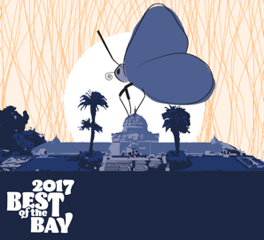 Watch the RCTV crew accept the SF Cable TV Award at the Gala Award Event in San Francisco!